It’s always good news to see another distillery get the green light, especially in the current economic climate. So check out the above video – it’s a feature on the planned Kingsbarns Distillery, a new venture from the folks at Wemyss Malts. 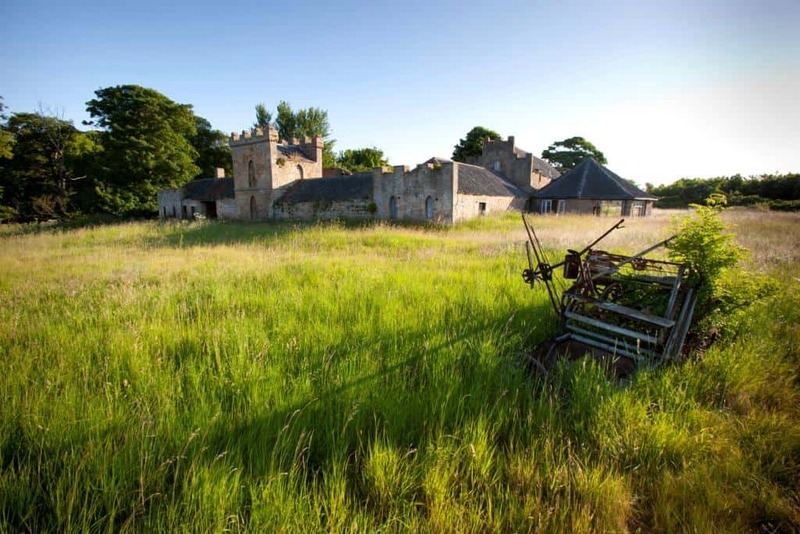 Wemyss are planning to develop a new craft distillery about 6 miles from St. Andrews, and within spitting distance of the famous Kingsbarns championship golf course. The site of East Newhall Farm Steading, where the distillery buildings will be set up, is a listed building dating back to the early 19th Century. And, as you can see by the photo, a lovely structure – the sort of thing with Grand Designs written all over it. The project will cost a cool £3 million and work is expected to take place pretty soon – distilling to take place in 2014. This is without a doubt going to be in good hands – the Wemyss family know their way around a still all right. You can keep updated with their progress on the Facebook page or website. The essence of capturing the spirit of a whisky in just a few words is an effective and emotive marketing tool. The Scotch Malt Whisky..
Saturday was the rarest of days in Scotland; a glorious scorching summer occasion. This enticed us to jump into the #tormore4mobile and head around the..